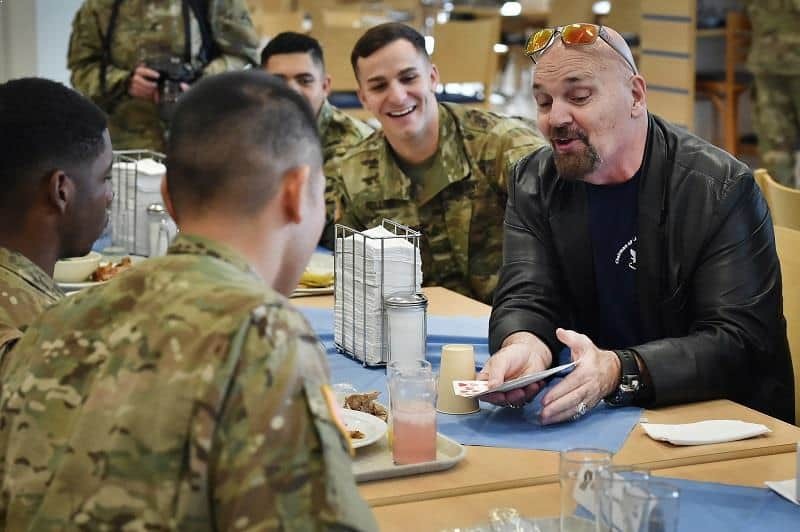 Every year, USO (United Service Organizations) teams up with troops of celebrities to produce concerts, comedy shows, meet-and-greets, Q&A and other interactive events to cheer up our service members and their families who are away from home, especially during the holidays. 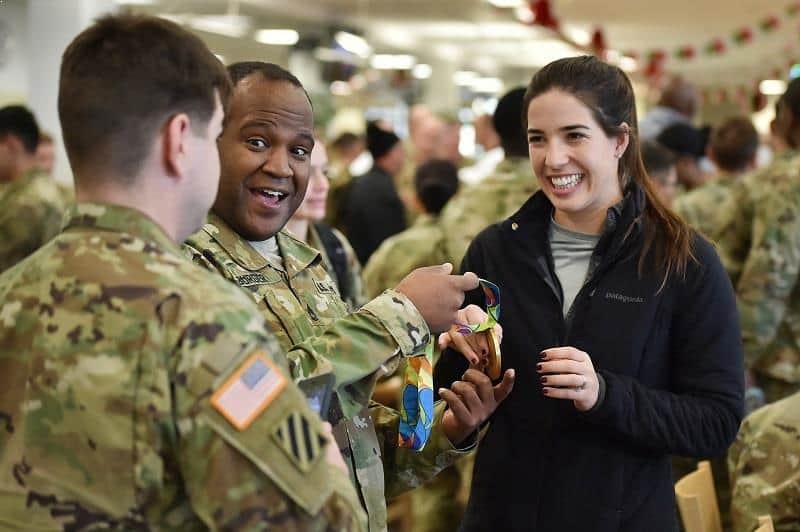 The effort is to boost our military’s morale and holiday spirits and for them to know that we greatly appreciate their services. The USO’s tradition of supporting service members stretches back to our beginnings in 1941. 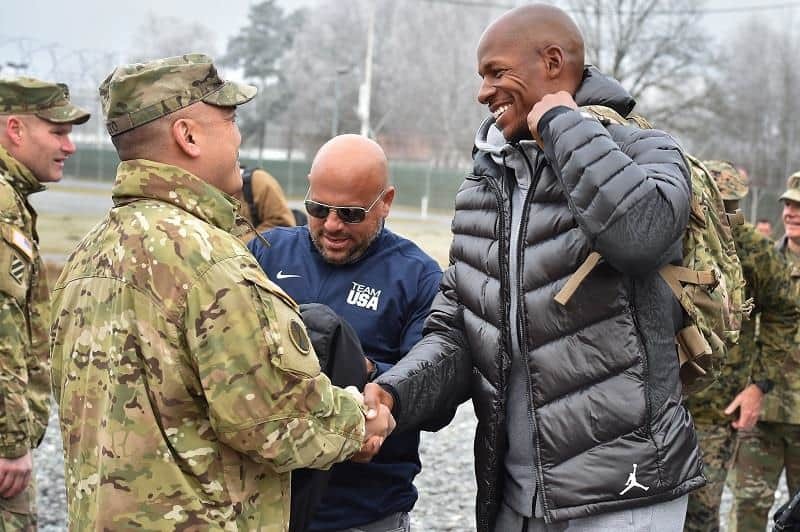 This year, the USO Holiday tour group spent a week visiting thousands of service members in Afghanistan, Turkey, Qatar and Germany. 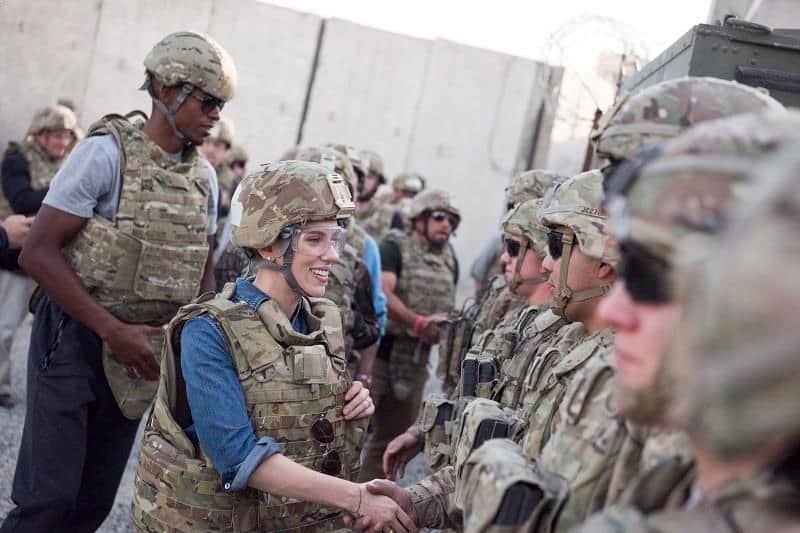 Marine Gen. Joseph Dunford teamed with the USO to bring actors Scarlett Johansson and Chris Evans, retired NBA star Ray Allen, Olympic gold medalist swimmer Maya DiRado, country star Craig Campbell and mentalist and tour MC Jim Karol to the service members. 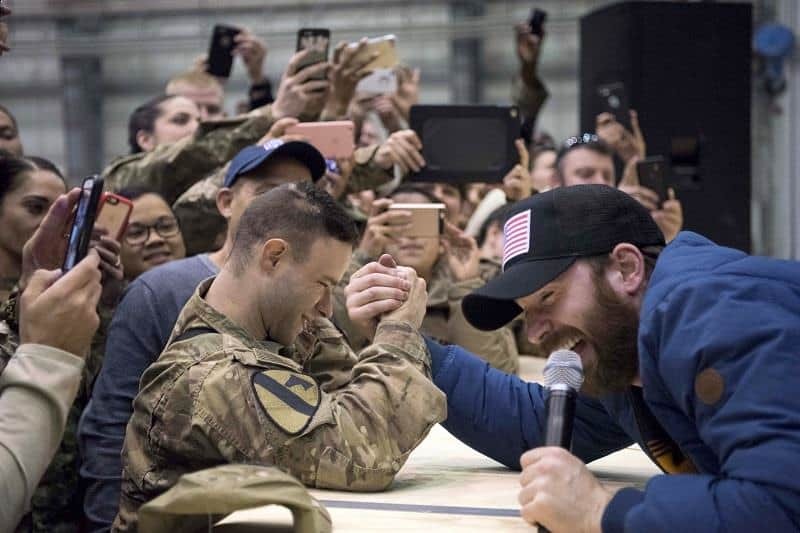 The “Avenger” Captain America actor Chris Evans challenged a service member to an arm-wrestling match. Who won? 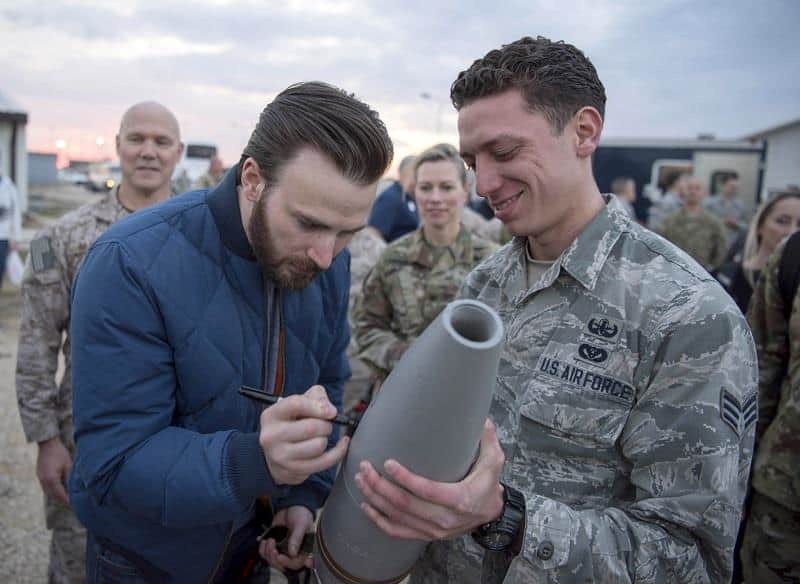 You would think having Captain America, one of the most celebrated comic heroes, showed up at an event like this would be a thrill for the audiences, especially kids. But not to all of them! 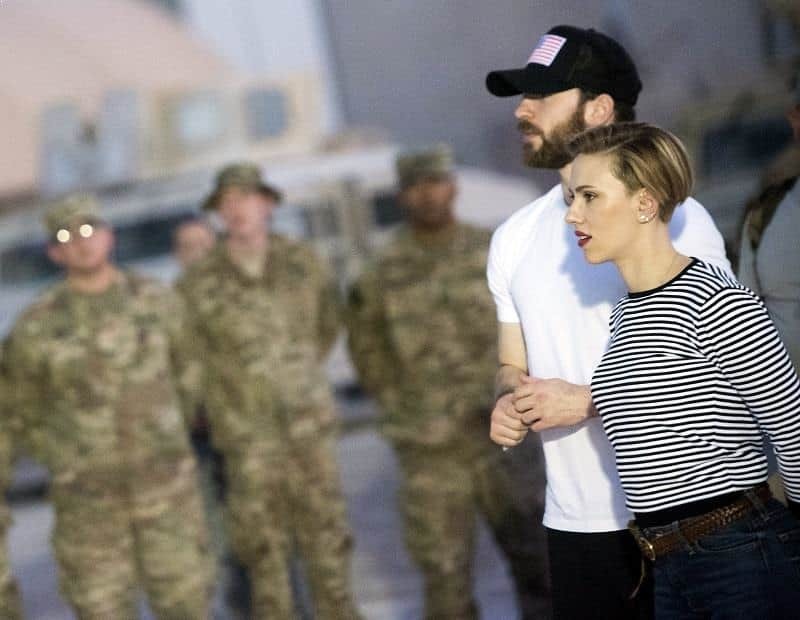 A kid at Forward Operation Base Gamberi, Afghanistan was so disappointed to see Captain America on stage because he was hoping to see Batman instead. Chris Evans teased the boy by telling him that Batman was not really a superhero. Batman’s extraordinary power came from the “gadgets” he put on. Luckily the boy didn’t cry to hear his superhero being “whooped” by Captain America. 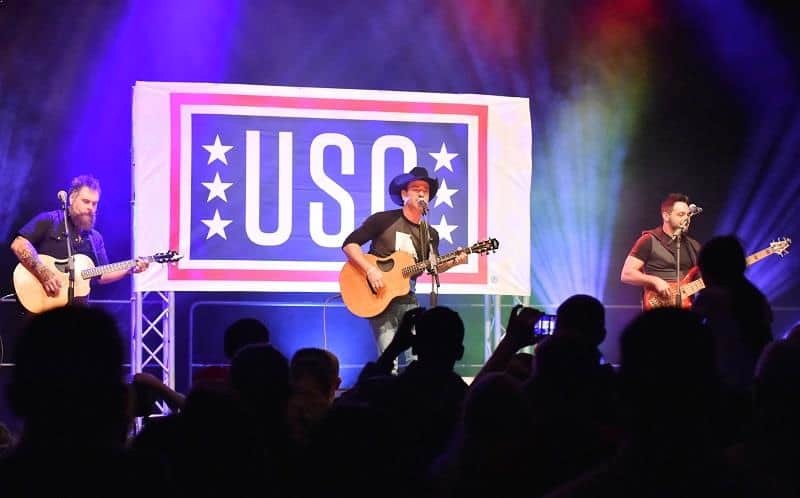 This was his first USO holiday tour. Ray Allen was one of the best shooters among professional basketball players. 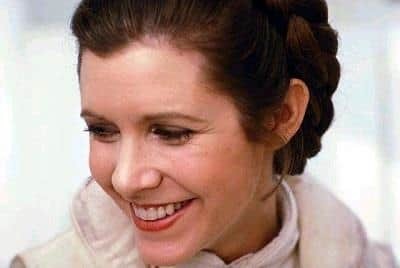 He announced his retirement in November 2016. He also won an Olympic gold medal as a member of the 2000 United States men's basketball team. 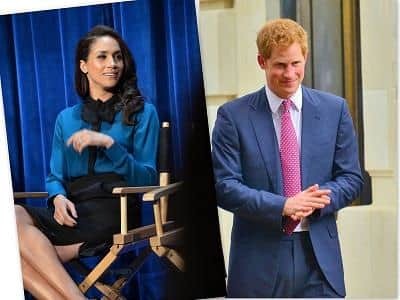 Allen was a military child himself, was born at Castle Air Force Base near Merced, California and grew up moving around places to places.